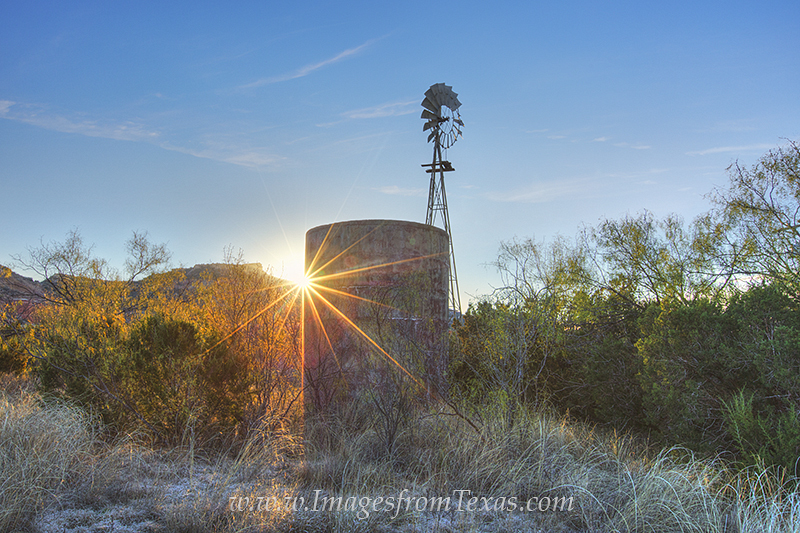 On a cold morning in November in Palo Duro Canyon State Park, I came across this old windmill just as the sun was cresting over the distant ridge. I could resist taken a few photographs with the sunrays cascading across the landscape and through the trees. Photo © copyright by Rob Greebon.